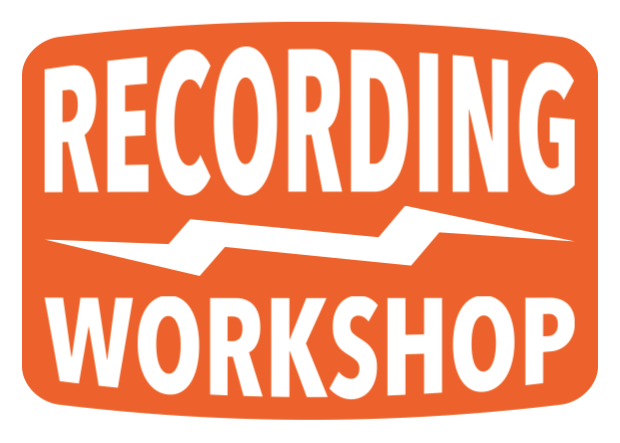 Is Recording Workshop training only offered in Ohio? The educational experience we offer is exclusive to one location. Our private campus is a creative retreat that has earned a world-wide reputation in the music recording industry. Students from every state in the U.S. and more than 70 other countries have made the journey to Recording Workshop. We are worth the trip. 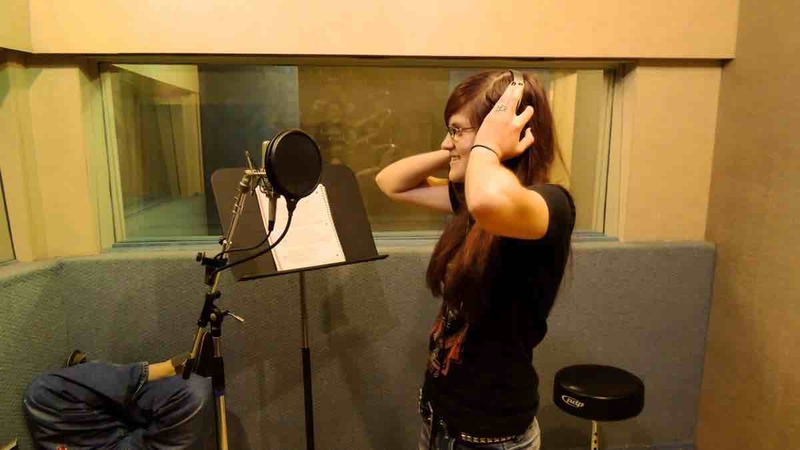 Does Recording Workshop offer job placement assistance? We help our students pursue employment in several ways. While they attend, students learn about hiring practices and methods of approaching that first job. And Recording Workshop provides quick response to reference requests for graduates being interviewed. Our placement assistance also includes a network of facilities that have historically used us for their hiring needs. This is a resource that expands as our alumni become business owners themselves. What is the background of most students? The student community at Recording Workshop is as fascinating as the training we offer. The average age is around 21 years old, with most students being between 19 and 27. There are always a few students in their 30s and 40s too, and the 50+ crowd is often here to show the younger ones how to keep it rocking. About 90% of the student population is male, and about 5% is from outside the United States. About half of the class has a fair amount of prior experience in recording or live sound. Do I have to be a musician? Having some basic playing skills is helpful, but not required. You should have a deep appreciation for music, and a willingness to explore all styles. 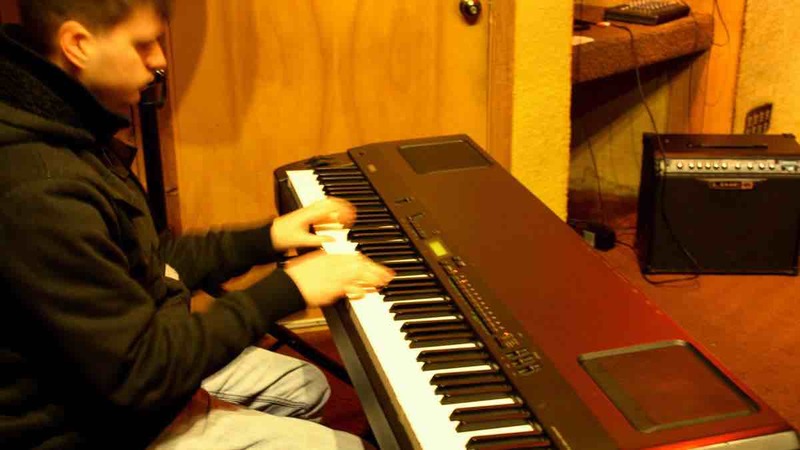 About 2/3 of our students play an instrument, sing, or write songs. All students will be involved in recording/mixing student projects, but performing is voluntary. Do I need a background in computers or electronics? It is expected that you will have basic computer skills on either Mac or Windows operating systems. Right from the start of classes, you will need to be already familiar with basic concepts like mouse/keyboard usage and file/folder management. However, having a background in electronics is not required to take our programs. We will introduce some electronics design concepts as part of your classes, but as long as you can handle some basic arithmetic, you'll be fine. What’s the daily schedule like? A typical day of the CORE Program will average around 7 hours of scheduled activities: 2 lectures at 90 minutes each, and 2 or 3 studio classes at 90 minutes each. Classes start as early as 9am and can sometimes run past midnight on days when you're scheduled for tracking sessions. In between classes, students will have reading assignments and may also sign up for rehearsal time to work on student projects. Federally backed student loans are designed for longer-term study and do not apply to the short-term programs we offer. However, alternative funding is sometimes available through other government programs and special interest organizations. Eligibility requirements for these financial assistance programs vary greatly. Contacting your local employment services office is the best way to explore if any of these funding sources are available to you. Another source of financial aid is the 57 Trust. This is a loan program designed to help those who have found it tougher to get assistance through traditional sources. What is different about the 57 Trust is that it enables students to stand on their own two feet and get approved - no co-borrower needed. An application is available on our Financial Aid page. What are the campus housing options? We offer several affordable on-campus housing options, all within a one minute walk of classes. Choices include dormitory-style housing with single/double room assignments, and modern cabins that are shared by 4 to 6 students, all with bath and kitchen facilities. Cookware and utensils are provided, but students are responsible for their own meal preparation, housekeeping, and bed linens. Free Wi-Fi is available throughout campus, and there is also on-campus laundry facilities. What about transportation? Do I need a car? Having a car is convenient, but not needed by students who live on campus. A convenience store is within a short walk of student housing, and students frequently carpool for more shopping choices in Chillicothe after getting to know one another. At the start and end of each program, we provide students with free shuttle service to the Columbus airport and Greyhound bus station. What will I have when I finish my training? Students who satisfy all program requirements will be issued Recording Workshop certification. You will also have a portfolio of your recording, mixing, and other media production projects. Text materials, handouts, and a carefully constructed Performance Evaluation are also received. Most importantly, you will have new friends, professional associates, and greatly expanded creative skills and knowledge. What is the Recording Workshop campus like? Our campus is nestled on a wooded hillside about 7 miles south of Chillicothe, Ohio (pop. 25,000). The setting is laid back, but this is a good counterbalance to the very active schedule of session work that students have. Our studios and administration offices are held in one main building, and 12 housing units and support facilities are also found on school grounds. 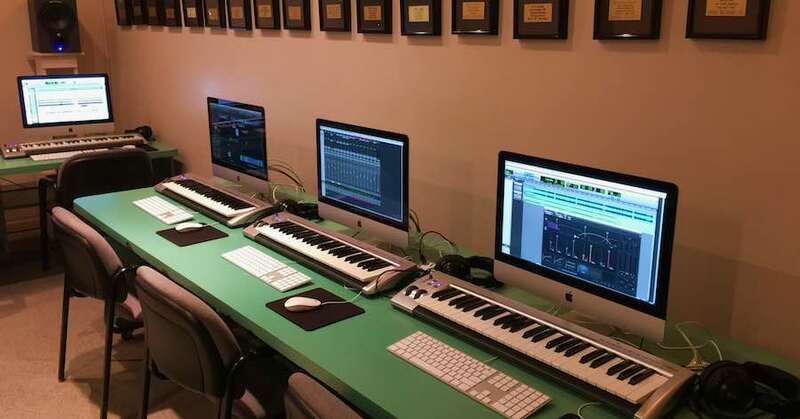 Can I visit Recording Workshop? Certainly! We understand your need to check us out and we are happy to have you visit. We accommodate visitors on weekdays with scheduled tours at either 11:00am or 2:30pm. If you would like to visit, please call us a few days before you plan to come (800-848-9900). 12 hours of college credit can be earned by taking Recording Workshop programs. 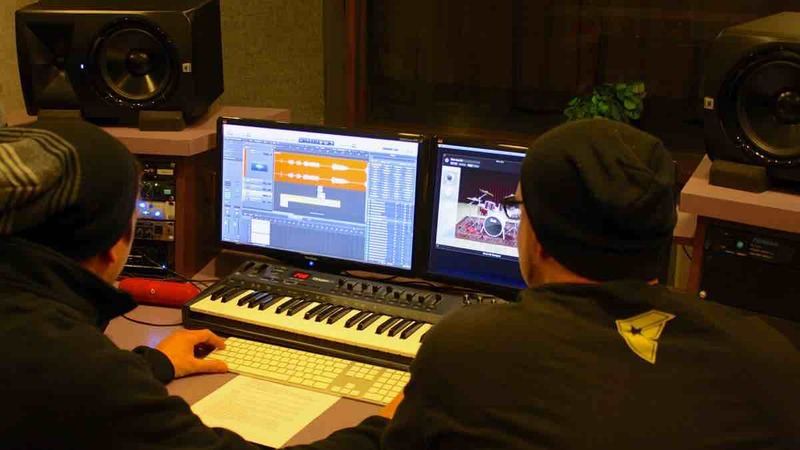 For over 30 years, Recording Workshop has worked with Capital University’s Conservatory of Music (Columbus, Ohio) as a requirement for several different Bachelor’s Degrees. Students attending other colleges can attend Recording Workshop and potentially earn credit hours too. Capital University initially awards these credits, which are then transferred to other colleges. The CORE Program is worth 9 credit hours, and the ADVANCED is worth 3 credit hours. 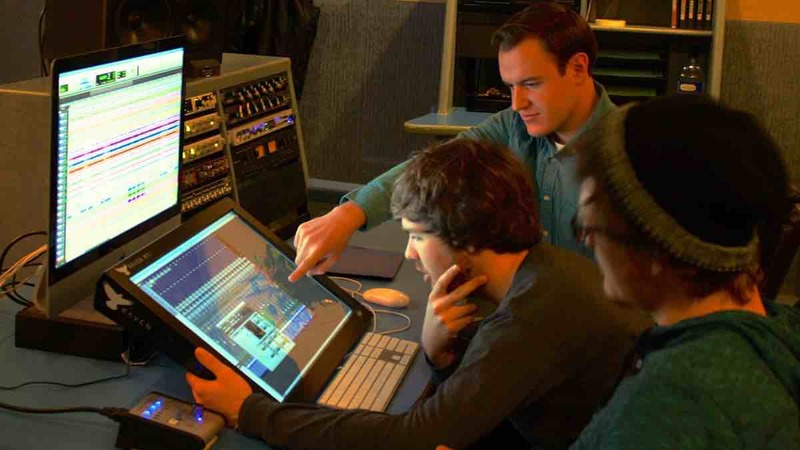 Recording Workshop grads are prepared for a variety of entry points into pro audio. The traditional example would be starting out as an assistant at a music recording studio. But grads are also found at studios that specialize in television and film, commercial advertising, corporate presentation, game software development and more. Another career path is live sound. Our graduates are behind the boards at clubs, concert halls, churches, theaters, and theme parks across the country. 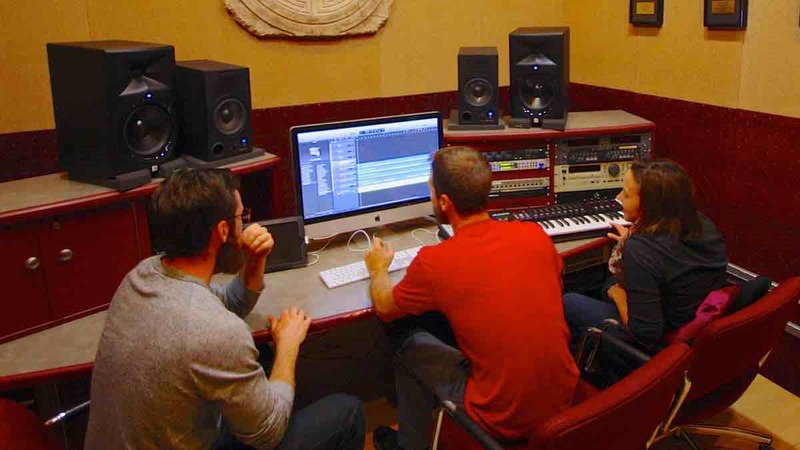 Many Recording Workshop students pursue self-employment as their immediate plan after graduation. Newer, more affordable technologies make being your own boss much more possible than in the past. And instead of recording or producing others, many Recording Workshop students take our training solely for the purpose of working on their own music. What’s the earning potential of an audio professional? Although a few audio professionals make tremendous amounts of money, earning a middle-class income is much more typical. In general, working for a studio that leans towards commercial and corporate work offers a more balanced earning potential than a purely music environment. And of course, money made the first few years usually starts modestly, and increases with career growth in responsibility and position. Beyond the rewards of money, audio professionals can enjoy great personal satisfaction in the creative work that they do. Where can I look for work? Historically, a higher concentration of studios doing major label music projects was found in New York, Los Angeles and Nashville. This is still somewhat the case. However new technologies are letting high quality production be done without the big gear investment, so there is a dramatic spreading out of where creative types can live and collaborate. And there are many other cities to choose when you consider the many types of production facilities and entertainment venues that exist. If you keep your options flexible, you can live just about anywhere you want.